I met Curtez Riggs at Inc. GROWCO in New Orleans back in April. I was thrilled to hear he had scooped up the MilBlogging website and brand, with a goal to revitalize it and engage the community again. ScoutComms and our clients had supported the MilBlogging conference before it ended several years ago. Curtez’s drive and passion is infectious and we immediately began trying to figure out how we could support his mission. Our first thought was that a lot had changed in our community since the MilBlogging concept came into the world in 2006. I suggested taking it beyond “blogging” to address the larger community. 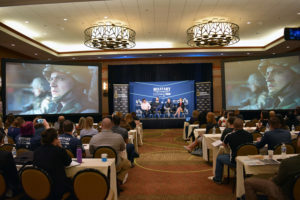 There isn’t a conference that is a gathering of military influencers, including entrepreneurs, social media personalities, traditional bloggers and leading voices in the military community. 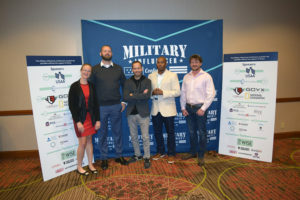 Thus the MilBlogging Conference became the Military Influencer Conference (MIC), and we were off and running together. With so many incredible leaders in our community stepping up to help, including LifeFlip Media, Crosby Communications, WISE Advise + Assist, The Hive & Company and so many others, it was obvious another PR firm wasn’t needed. It seemed a partnership based on our experience working with major national organizations would be a better fit, so we invested in the Military Influencer Conference to help produce this first event and future ones as partners and friends. 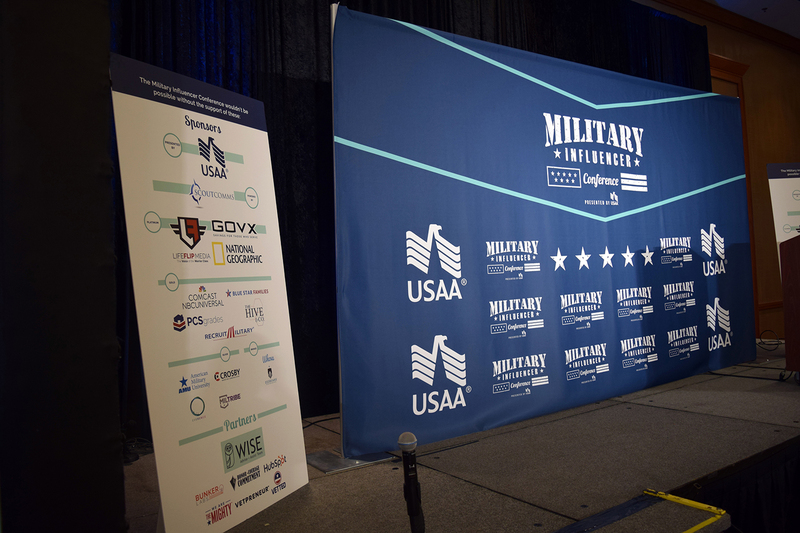 Some 60 percent of the attendees were military spouses! That’s the nature of today’s veteran and military family community. Military spouses have stepped up to share their experiences, build successful businesses and become the leaders of our unique world. 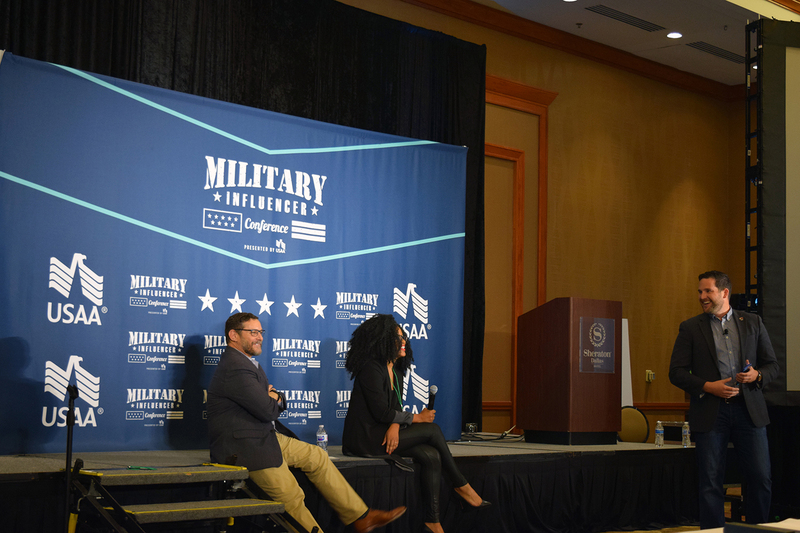 This conference wasn’t all about veterans – the talented military spouses dominated it, and that was refreshing in every way. Next year we will be sure to build programs and invite more voices from the military spouse community. The presentations and panels were almost universally useful and engaging. We’ve all attended conferences where you find yourself looking at your watch and wondering when they are going to roll out the snacks. This wasn’t one of those. The talent and information shared from the opening to the closing was full of useful, actionable advice and lessons sourced from members of our community. Communicating with attendees and creating an agenda that builds on that will be a key focus in planning for the second annual MIC, slated for September 2018. Sponsors didn’t just show up to sell us stuff. Often when you attend a conference in our community, or in any community for that matter, the sponsors just see the attendees as targets for marketing. Sponsors for the Military Influencer Conference came in to teach, share, recruit and provide opportunity for the attendees in Dallas. They were active in presenting useful information, like Crosby’s terrific session on influencer recruiting. They were there to share stories, like National Geographic – a ScoutComms client and platinum sponsor which ended up finding a number of attendees being part of premier events across the country for ‘The Long Road Home.” They were there to offer opportunities, like our client USAA, Comcast NBCUniversal and Hubspot who generously offered time, services and opportunities throughout the conference. The relationships built with the sponsors and attendees will have impact for years to come, and many have already stepped up to be part of the next MIC in Orlando. Shaping that unique sponsor list will be part of everything we do this year, and with the word on the streets about this first conference we can be sure to have some amazing partners in September. It’s not easy to create a conference that is entrepreneur or business-focused, that also provides useful content and engagement for the nonprofit and advocacy community. 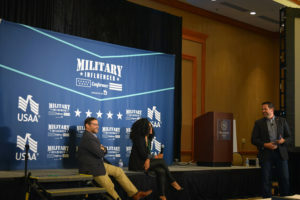 The Military Influencer Conference offered both sides of the coin: information and relationships to move missions forward. Nonprofit leaders, like sponsor Blue Star Families, partner Honor, Courage, Commitment and the Association of the United States Army’s Patty Barron were able to connect with leading voices among our military families and learn lessons from businesses that apply to any kind of organization trying to move forward. Next year’s conference will actively seek out those who serve our community as advocates, nonprofit leaders and voices that make an impact and provide them content and connections that help everyone. In the end, this was the first time ScoutComms has helped produce a conference; the lessons learned for us could fill a notebook, both on what we did well and what we will spend time improving for next September. Partnering with Curtez and MilBlogging has been one of the smartest moves we’ve made as a company, and those three days in Dallas point to an exciting future for our community that we’re proud to support.